The great thing about eating seasonally is that you get to really appreciate certain foods . Food when eaten in season not only tastes better but somehow seems fresher and more flavourful too. 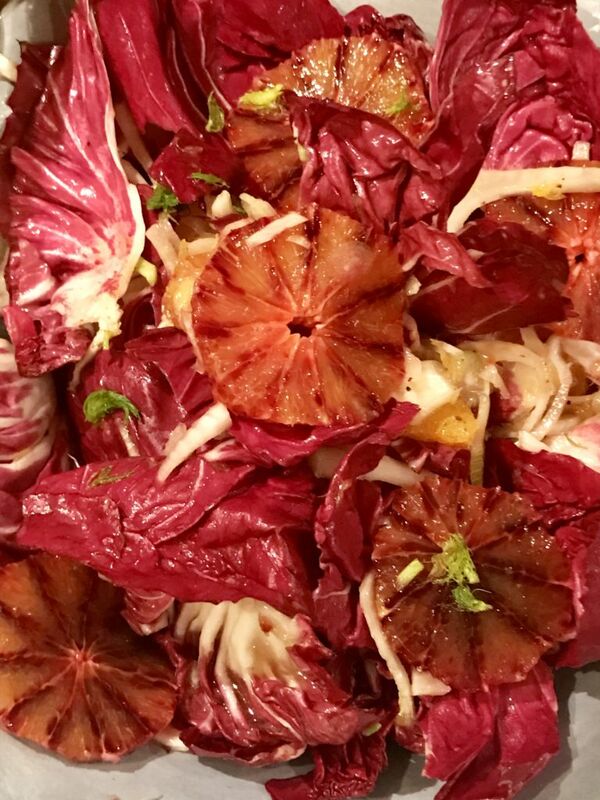 Blood oranges have been in season for a while now and I just love their vibrant colours. 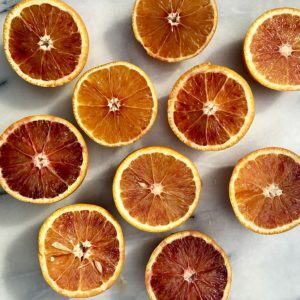 Every time you slice open a new orange there is a seems to be a different variation of crimson red, vivid orange and blush rose swirling through the segments. When I make http://everydayfabulousfood.com/puddings/blood-orange-sorbet/ the colour varies every time. This is a deliciously refreshing salad which tastes great with some grilled fish or chicken. Quick and easy to make it is perfect for a light lunch or quick supper. 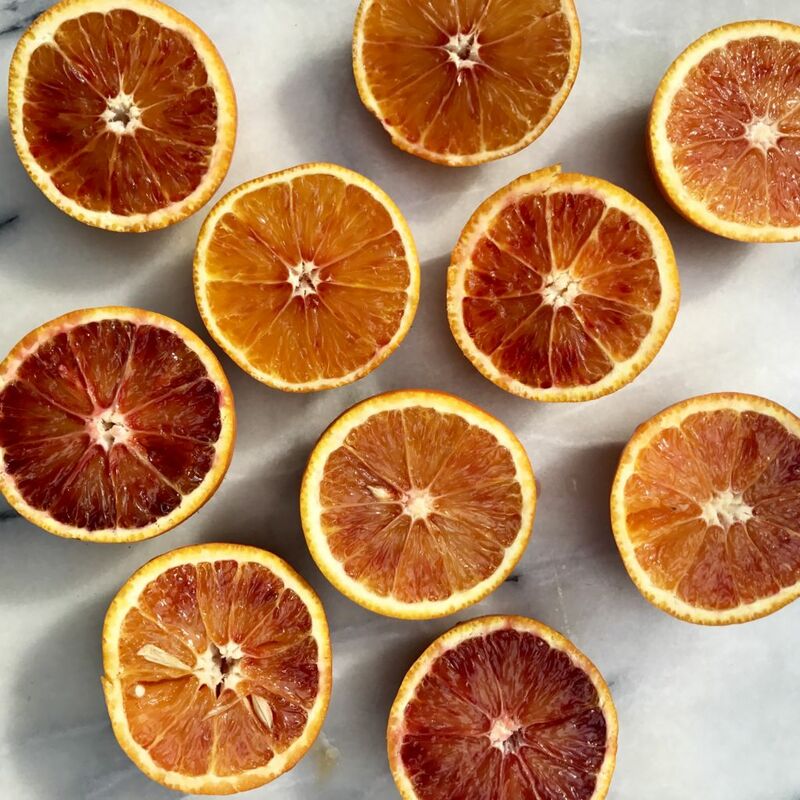 Take a sharp knife and cut the top and bottom off each orange then remove the skin and pith from the orange and cut the oranges into slices and place into a large bowl. Cut the fennel in half and slice very thinly (use a mandolin if you have one). 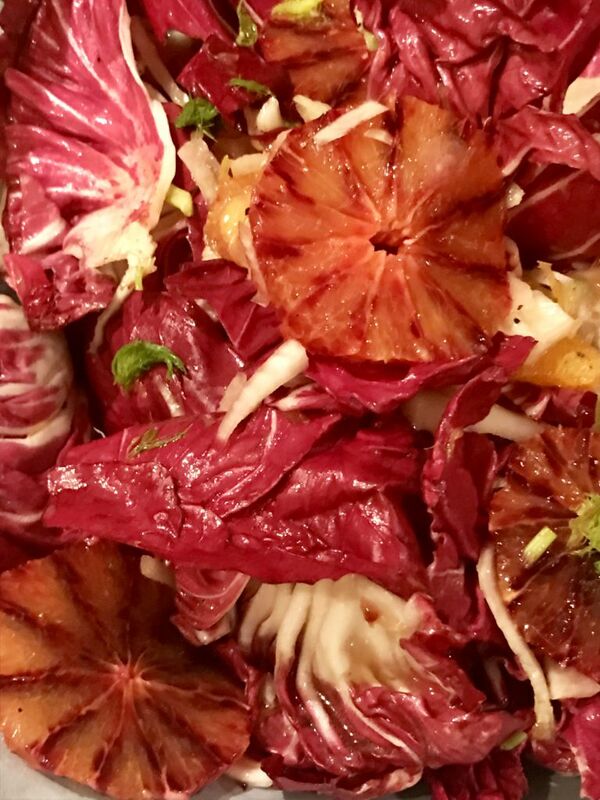 Place the fennel in the bowl with the orange and season well with salt and pepper and add the mustard, oil and vinegar and mix well. 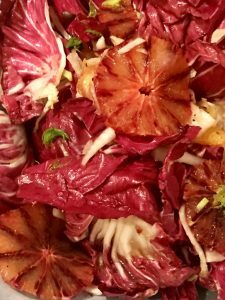 Carefully separate the radicchio leaves and add to the salad and toss well before serving.